Babies grow all too quickly. Left discarded are a number of expensive products such as floor seats, feeding seats and booster seats. Wouldn’t it be great if there was just one good toddler seat that could do all of this? 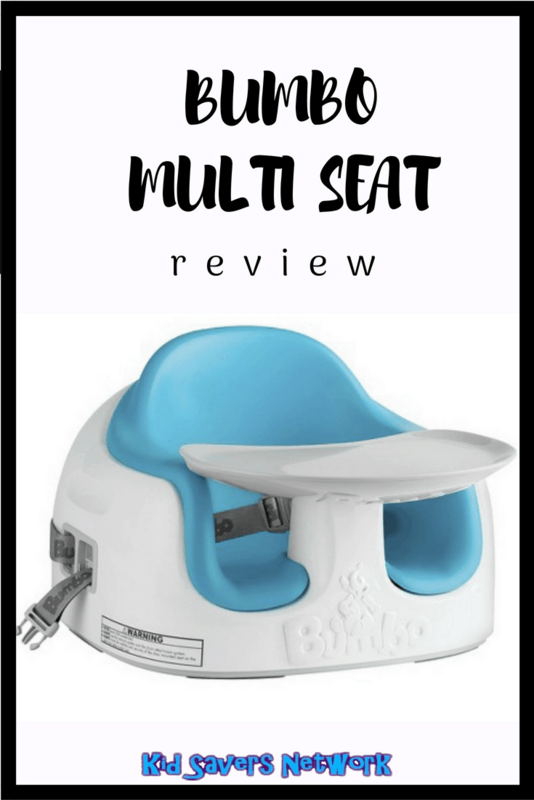 Well, the The Bumbo Multi Seat can! 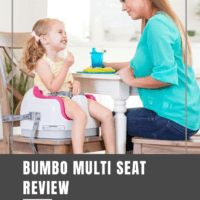 What is is the Bumbo Multi Seat? 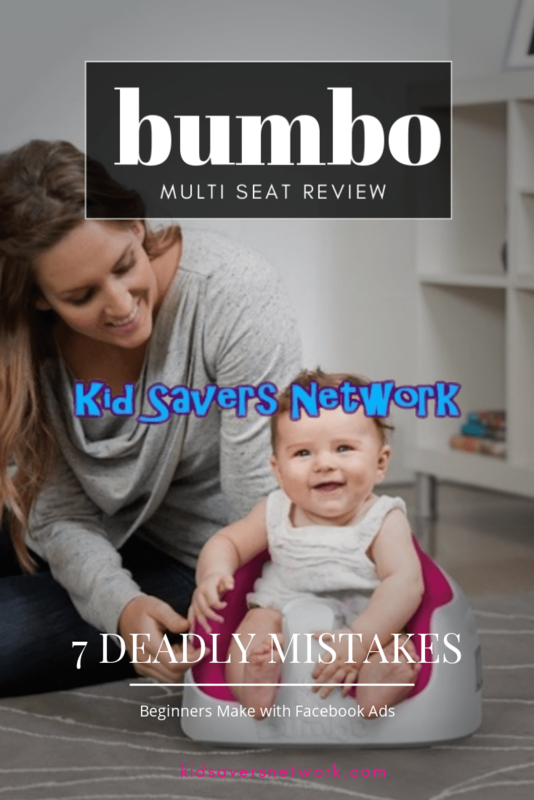 Is the Bumbo Multi-Seat Safe? The Bumbo Multi-seat is a 3 in 1 floor, feeding and booster seat for children aged 5 months to 3 years old. It is designed to be multi-functional during the different stages of your child’s development. Initially. it will begin life as a floor seat and help your baby get used to life sitting up. Once your little-one outgrows this stage, removable foam inserts allow it to become a feeding seat with it’s own stylish tray. Finally, it transforms into a cool booster seat and allows your baby to come join you at the dinner table. A lot of thought and care has been put into the design of this seat. The main safety feature is the 3-point harness. This not only secures the child firmly, but it also attaches to any 4-legged chair too. The base of the seat is very wide to provide stable contact with the floor. And the play tray is also made from shatter-proof plastic for your baby’s safety. 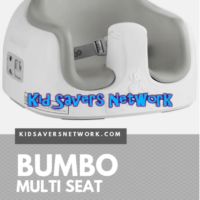 To ensure complete safety ,children sat in the Bumbo Seat should be monitored at all times. No need to buy three different products. 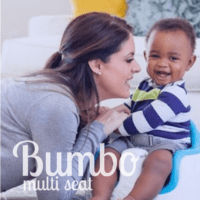 The Bumbo Multi-Seat removes the need to purchase three separate seats so will ultimately save you money. And space. And worry about what to do with all the baby seats you now have. The “Cost per use” is maximized with this seat and it’s good for 2 ½ years. It’s also good for when your child is away from the dinner table, too. If you have a toddler, you’ll know they love familiarity. It’s design is extremely user friendly and it’s very easy to adjust the height of the seat. 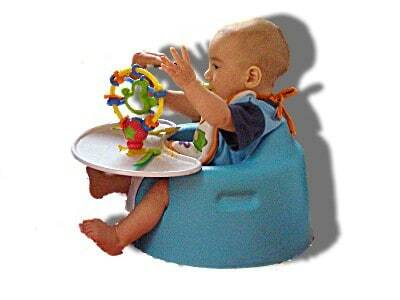 The play tray can be attached and reattached with one hand as well. The tray can be stored in the back of the seat. The foam inserts can be stored inside the seat and the straps themselves can also be pulled into the seat. Not only does this save a lot of space, but it also ensures you won’t lose any of the accessories. Unlike other toddler seats on the market, there are no gaps of crevizes for food to get stuck in. 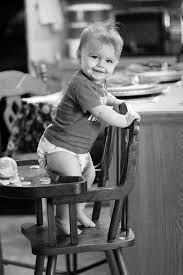 Everything wipes down with ease and can cope with an infant’s developing table manners! The traditional high-chair design means that kids are away from the table. That means you have to be, too. As the booster seat secures to any chair with 4 legs it can be pulled under the table. This allows them to always be within arms reach and to better enjoy an essential part of family life. The Bumbo Multi chair is a lot more convenient to transport and travel with. It’s compact design means it’s smaller, lighter and less bulky. That makes it easier for trips to the Grandparents and to restaurants. There has been cases reported of babies falling out of the Bumbo. This is possible as their feet can touch the floor and they can push themselves out if parents are not watching them. 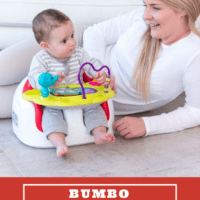 Whilst the Bumbo Multi Seat is comfy, a few parents have noticed that it’s not as well supported as the “Bumbo floor seat”. This can actually be good for a baby’s development. To see unassisted the baby needs to use it’s own neck and back muscles so too much support can hinder their development. One thing parents agree on is that Bumbo has got the tray configuration right. 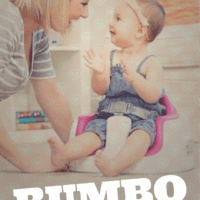 There are some decent alternatives to the Bumbo on the market, but they have problems in this area. It’s main competitor is the slightly-higher priced Prince Lion Heart Bebe POD. There are many good reviews online, but question marks remain around the tray. Some parents have reported their baby can take the tray off by themselves. They also don’t like that the tray decoration and color comes off with some scrubbing. Another option is the lower-priced Summer Infant 3 in 1. However, again there are a few reports of problems with the tray. This time parents have said it’s extremely hard to attach and remove. Parents of larger babies in the 80th to 90th percentile have said their baby’s are too cramped in the seat. 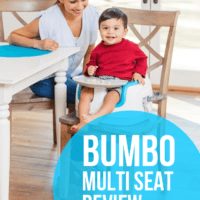 In conclusion, it’s easy to see why the The Bumbo Multi Seat is one of the top rated toddler seats on the market right now. It’s stylish yet functional design is a vast improvement on the conventional high-chair in many ways. If you’re looking at a 3-1 seat then you should definitely consider it.